An aircraft technician who was one of the members of the helicopter crew that flew President Recep Tayyip Erdoğan on the night of the coup attempt in 2016, was arrested on Nov. 20 over alleged links to the Gülen group, which is accused by the Turkish gov’t of masterminding the failed coup. 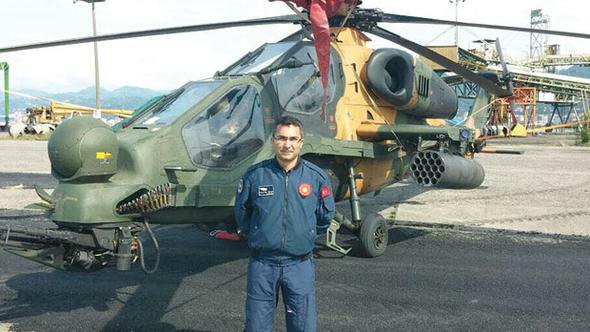 Tayyib Sina Doğan, a technician who was one of the three members of the helicopter crew that flew Erdoğan and his family to the Dalaman airport from Marmaris where they were on holiday that night. The denies any involvement in the attempt. Doğan, who had joined Erdoğan’s aircraft team in September 2014, was dismissed from his post by the state of emergency decree on Nov. 22, 2016. During his trial, he denied any link to the group. “I have never downloaded that application. I think it was downloaded on my phone through other software. If it is detected that the ByLock content and username belong to me, I acknowledge any punishment,” he said. He also said he was one of the president’s flight technicians that night and had actively acted against the initiatives of the putschists. “If I were a member of a terrorist organization, I would not let the helicopter take off. I had the key and I have knowledge of the equipment,” said Doğan.